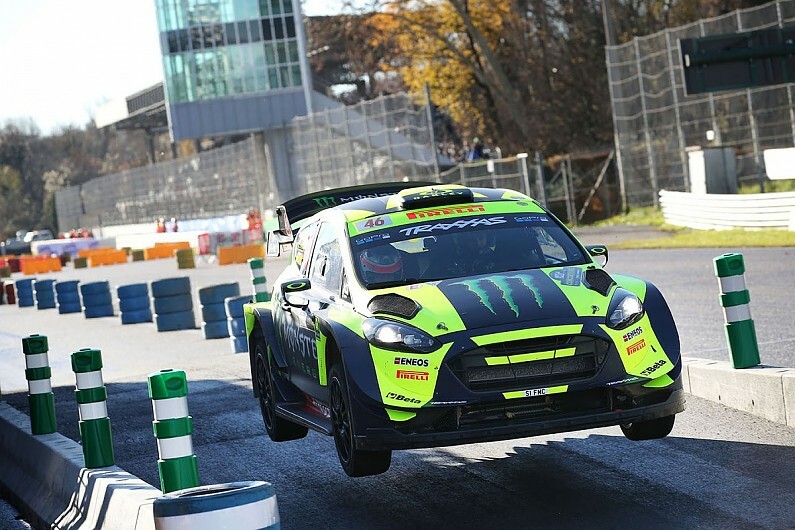 MotoGP legend Valentino Rossi has claimed his seventh victory in the Monza Rally Show, sweeping all nine stages of the event’s 2018 edition. The result means that Rossi moves two wins clear of Le Mans 24 Hours victor Rinaldo Capello in the rankings of the most successful drivers in the history of the Monza Rally Show – which has also been won by the likes of Sebastien Loeb and Robert Kubica. 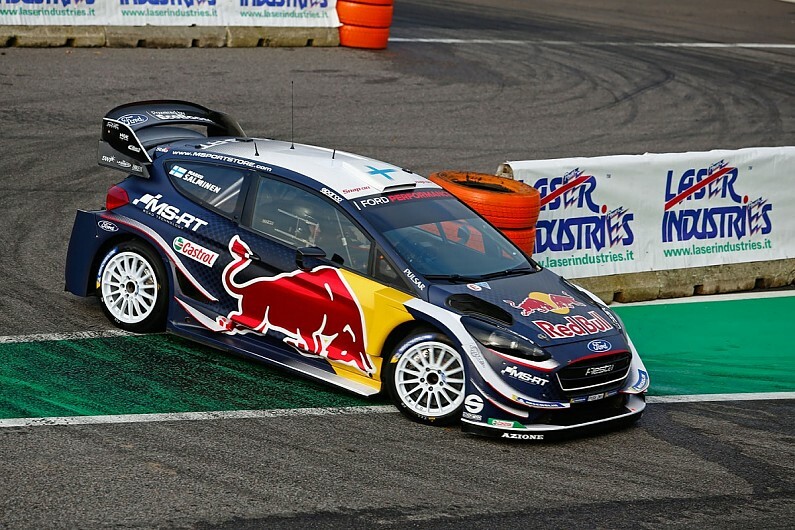 The dominant Italian, for who this year marked a fourth consecutive Monza triumph, shared the spoils with M-Sport Ford WRC regular Teemu Suninen on the eighth stage, but was otherwise unmatched throughout the three-day contest. Rossi was in one of the four current-spec Ford Fiestas that ran in the WRC Plus category and locked out the top four against older-spec WRC machinery. Suninen, partnered by WRC2 driver Takamoto Katsuta’s regular co-driver Marko Salminen, had a big off at the chicane during one of the stages and ultimately ended the rally a minute and seven seconds behind Rossi. Suzuki MotoGP staffer Roberto Brivio, brother of team boss Davide, took third place, edging out Rossi’s long-time right-hand man Uccio Salucci. Motocross great Antonio Cairoli – a Monza Rally Show regular – led the way among the older WRC cars in fifth place in his Hyundai i20. Fellow motocross star Chad Reed, likewise driving a Hyundai WRC car, was 27th. Former Audi LMP1 driver Marco Bonanomi, who had been runner-up to Rossi in 2017, piloted an older-spec Fiesta WRC and came up less than a second short of toppling Cairoli. Davide Valsecchi, the 2012 GP2 champion, was among the competitors in R5. He wound up 24th in class and 37th overall of 85 finishers.